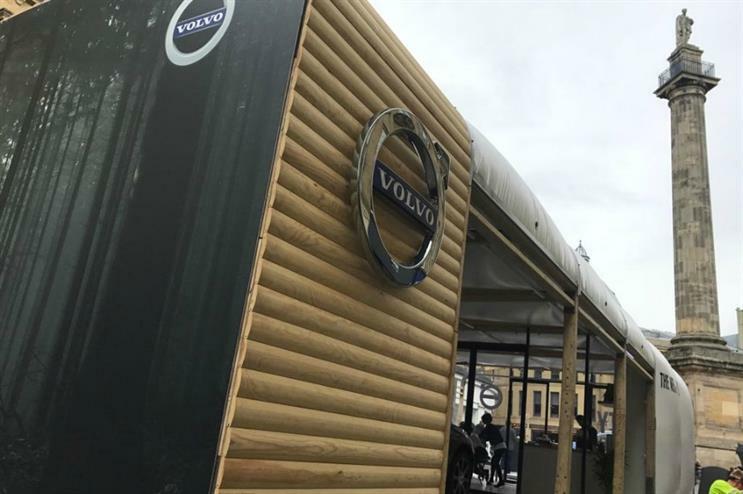 Volvo, the automotive brand, is bringing back its 'Escape the City' pop-up for the second time this year. Volvo's pop-up will tour Bristol, Newcastle, Aberdeen, Norwich and London. The brand has worked with brand experience agency TRO to deliver the activation. It is bringing the event back to reach more areas around the country, having previously set up in London, Manchester and Edinburgh. The Scandinavian-style retreat offers relaxation sessions, including yoga, meditation, and Swedish massages. Volvo has taken inspiration from Scandinavian architecture, aiming to create a warm and intimate environment. Volvo is using the pop-up to continue the promotion of its second generation XC60 model, which launched in April 2017. The pop-up's relaxing environment is designed to reflect key features of the XC60, such as its spaciousness. 'Escape the City' will appear this weekend (12-13 August) in Newcastle and Bristol, and will hit London's Westfield Stratford City shopping centre from 25-27 August. Alongside the pop-up, Volvo is offering customers across the country the chance to test drive the XC60. Test drive events will take place throughout August and September, in locations including Mansfield, Nottinghamshire, York, Belfast, Falkirk, Hexham, Cannock Chase, Staffordshire and Exeter. In February, Volvo teamed up with Tablet Hotels to launch a 'Get Away' Lodge in northern Sweden. More: Volvo, Rowntree's and Dorset Cereals were among the brands activating at Camp Bestival.